Papilio Beauty Salon provide an extensive collection of eyelash and eyebrow treatments tailored to meet your specific needs, including tinting, shaping and tweezing. 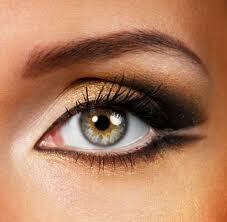 Eyelash tinting will enhance the general appearance of your eyes, especially those with fair or red hair. This eyelash treatment will create a defined look and give the illusion of wearing mascara. It is also particularly beneficial for those who participate in sporting activities like swimming. Eyelash tinting gives you a very natural look! This eyelash treatment will last approx 6 weeks. Important: A patch test is required at least 48 hours prior to tinting to ensure no sensitivity to the product. Eyebrow tinting enhances the general appearance of the eyes. Eyebrows are the frames to your eyes, and should compliment the eye appearance. They say the eyes are the window to our soul…embrace that with a beautifully defined brow! This treatment will last approx 6 weeks. Eyebrow shaping is a simple beauty treatment that can bring about big changes to your overall appearance. Short of plastic surgery, eyebrow shaping can do more to improve your appearance than most other beauty treatments. Whether you are young or more mature, taking the time to properly shape your eyebrows is worth the effort. Eyebrows that have been gently arched visually lift and open up the eye area, bringing about a more youthful appearance to the face. Depending on your hair growth cycle, you may see the hair starting to grow back from a few days to a week. The tweezing method completely removes the hair from the hair follicle. You will find, in time, that it will take longer for the hair to grow back through. After treatment avoid any product on the area to allow the skin to breathe.